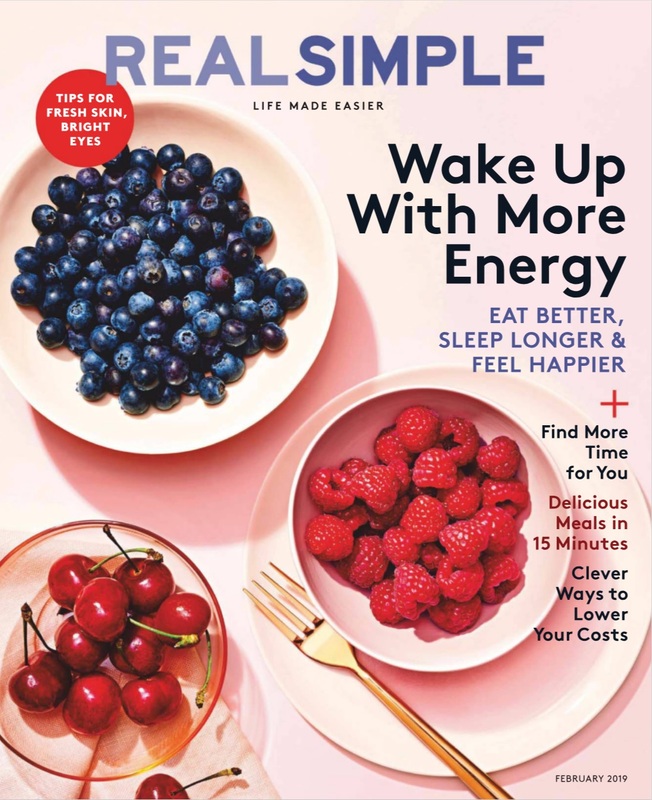 Check out Anderson Technologies’ recent contribution to the February 2019 edition of Real Simple magazine. Director Farica Chang answers questions about the cloud and how it’s used every day! “In short, the cloud refers to files and applications that are stored or used on the internet,” Chang says in the Real Simplifier feature. Read the full article in the print edition of Real Simple, on newsstands February 10, 2019, or through digital retailers (like Amazon or Barnes & Noble) now. Check out Mark Anderson’s recent guest contribution on Business News Daily providing readers with advice regarding niche software for business! Check out Mark Anderson’s recent guest contribution on Home Business Magazine, an article that uses a sandwich analogy to explain the benefits of a multi-layered cyber security approach! Read the full article on the Home Business Mag website. Check out Amy Anderson’s recent guest contribution on phoenixNAP providing readers with insights to help protect data and secure businesses long term! Read the full article on the phoenixNAP website. Amy’s quote is number 24. 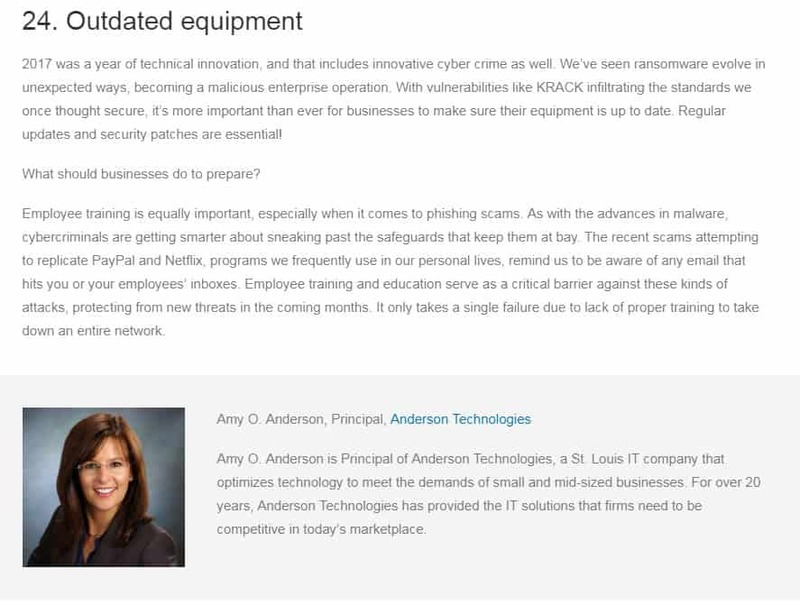 Check out Amy Anderson’s recent guest article on Lady Boss Blogger providing readers with advice on how to determine if they need computer security audits! 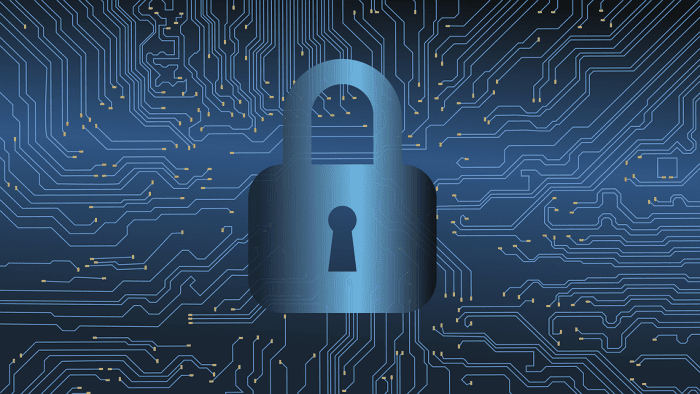 We’re proud of Mark Anderson’s recent expert IT consulting advice for an Inc. Magazine article about cyber security threats for small businesses! 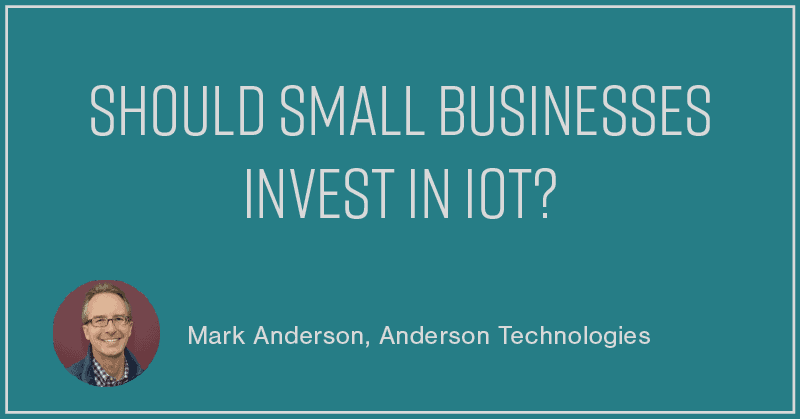 In partnership with Clutch, a leading technology research and consumer review company, we recently published a guest article about IoT for small businesses.